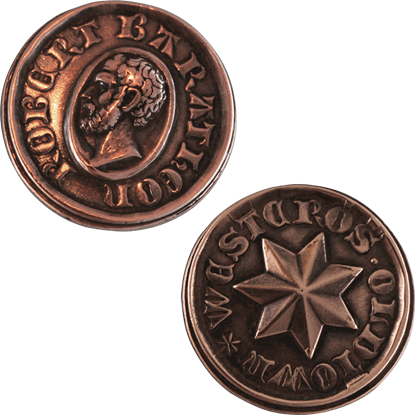 Classic collectibles, check out our selection of pop culture coins here at Superheroes Direct. 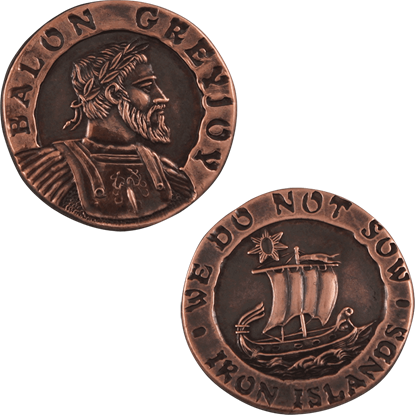 These highly detailed coins are crafted out of a variety of materials and come in various shapes. 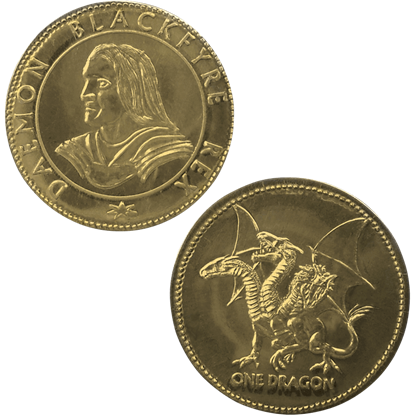 Many of the coins in our selection are based on characters from A Song of Fire and Ice, the book series that inspired hit HBO show Game of Thrones, including depictions of rulers and the currency of various lands. 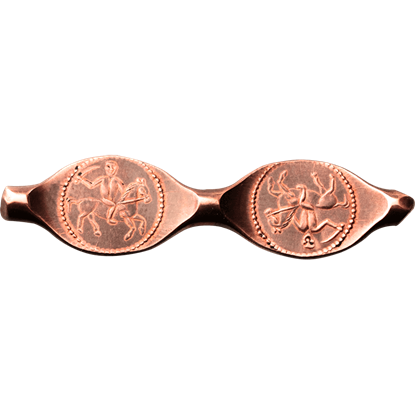 We also offer jewelry constructed from these coins, such as armbands, and coin bags perfect for storing coin collections along with any small trinkets. 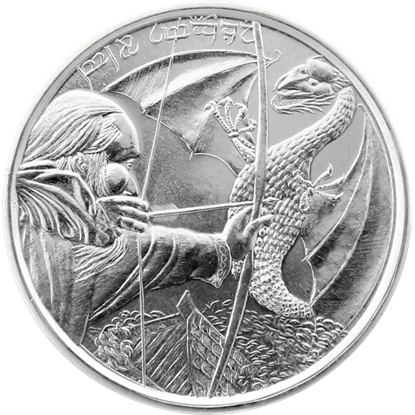 Excellent gifts for any collector of coins and thoughtful gifts for any pop culture fan, keep checking our selection of coins here at Superheroes Direct for more updates to our stock! 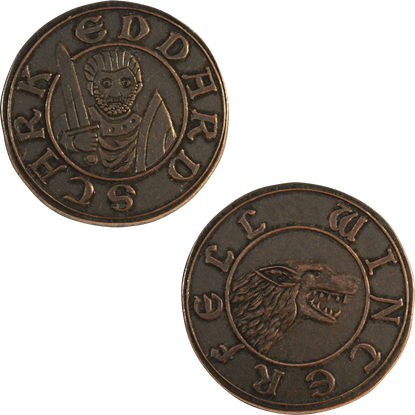 Even the Dothraki, with their raiding ways, have need of coinage from time to time. 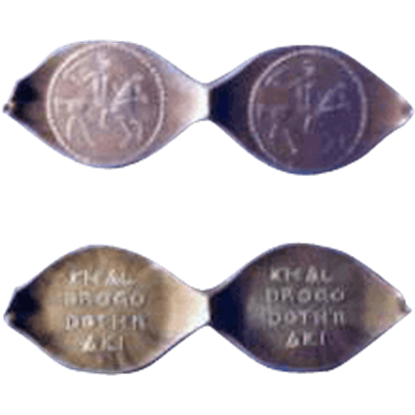 This Dothraki Denga of Khal Drogo - Pair is based on the historical coinage of Russia, while maintaining its roots from A Song of Ice and Fire. 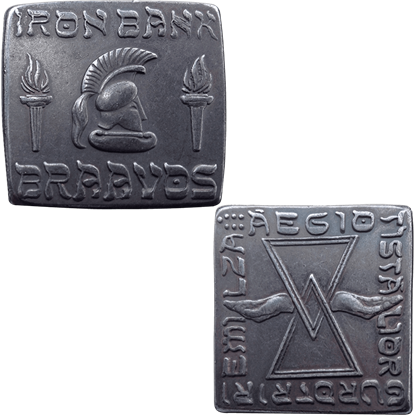 There is undeniable convenience in this Dothraki Full Silver Armband. 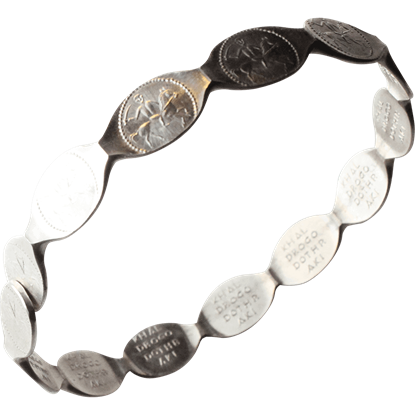 Made up of many denga, this armband is currency and jewelry both, having been struck, in true historic fashion, from a solid wire of .925 pure sterling silver. 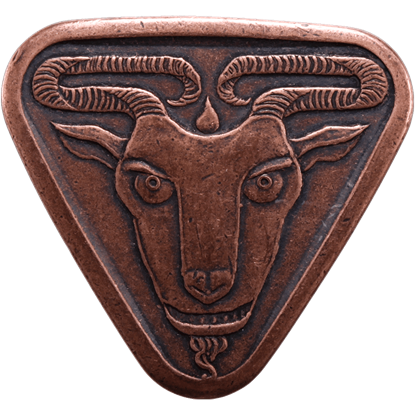 Even in a fantasy setting, coins have the most intriguing of uses. 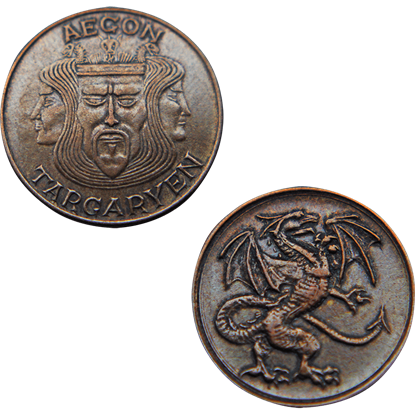 Even the Dothraki, born of George R. R. Martins novel series, A Song of Ice and Fire, have use for them. 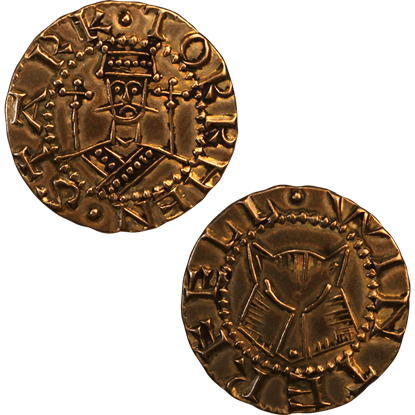 This Dothraki Pul of Khal Drogo - Pair recreates such coinage.